Alright, you lit nerds, is the following statement an example of dramatic, situational or verbal irony: Jane Austen’s first buyer—and one of the few she had while she was alive—was the gluttonous Prince Regent, whom the independent-minded author hated. (Plot twist: Paste is predominantly a music magazine, so unless you can find the answer to said question via Alanis Morissette’s “Ironic,” get Googling.) In our highly-qualified historical opinion, her face in the portrait above is an exact visual representation of what she looked like upon making that sale. The Prince Regent—the son of America’s fav monarch George III and the future George IV—was born in 1762 and was immediately announced to be a girl by an attending courtier. He fostered an exorbitant taste for food, alcohol and extramarital relationships, boasting a 50-inch waist and an addiction to laudanum by the time he ascended the throne in 1820. Needless to say, he was not the common-born Austen’s favorite public figure. This is not a historical inference; she confirmed her opinions in a 1813 letter she wrote, in which she expressed her sympathies for the Prince Regent’s oft-cuckqueaned wife, Caroline of Brunswick: “Poor woman, I shall support her as long as I can, because she is a Woman, & because I hate her husband,” wrote Austen, as the New York Times reports. According to a bill of sale recently discovered in the Royal Archives by an American PhD student, the Prince Regent paid 15 shillings for a copy of Austen’s first novel Sense and Sensibility two days before the novel was even publicly advertised, making his purchase possibly her first. And, yes, for those concerned, that was full-price. The Prince Regent was an avid book collector, frequently restocking his opulent home library at Carleton House. He was also an early Austen admirer. After she finished her fourth novel Emma in 1815, Austen had a random encounter with the Prince Regent’s doctor, who informed her that the king-to-be was an avid fan. Austen must have been conflicted when, after accepting an invitation to the Carleton House library, the head librarian hinted that the not-present Prince Regent would not object to Austen dedicating her next book to him. This supposed (and literally unrefusable) generosity led to one very clunky dedication before Emma: “To his Royal Highness, the Prince Regent, this work is, by His Royal Highness’s Permission, most Respectfully Dedicated by his Royal Highness’s Dutiful and Obedient Humble Servant.” Austen died two years later at age 41, presumably of embarrassment. We’ll never know for sure, but maybe moments like this were what drove all those 18th century lady authors to wander the moors so much; sure, it’s possible they forgot their compasses in their other petticoats, but it seems much more likely that they were forced to sacrifice their moral ones. 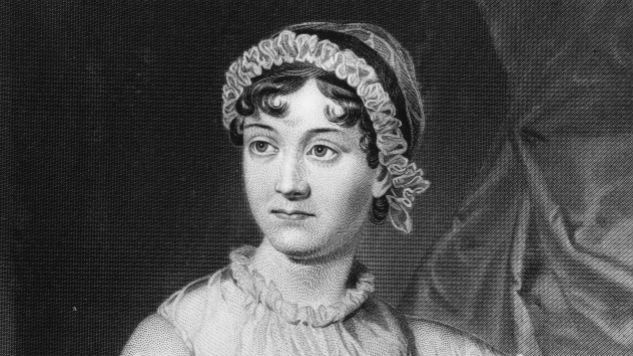 At the very least, history better remembers the achievements of Austen, so somewhere, she got the last laugh.